The City of Caseville offers many recreational activities including a busy harbor/marina and glorious beaches. There are many places of interest and tourist activities. The Scenic drive along M-25 to this Western Thumb Area offers a clear view of Saginaw Bay, its islands and several roadside parks and turnouts. 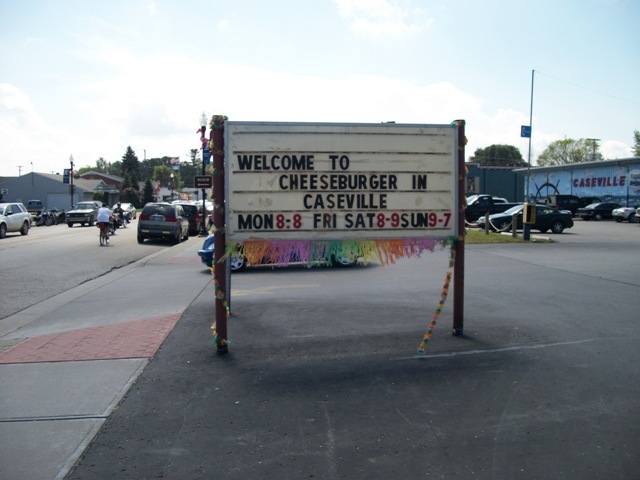 The friendly community of Caseville features fine restaurants, camping and a quaint downtown shopping area. The Harbor of Refuge and great boating facilities brings anglers to the area in search of walleye, perch, trout and more. Discover the beauty of sunsets on Saginaw Bay, beautiful sandy beaches, swimming, sunbathing, personal watercrafts, water skiing, modern camping areas, hiking, great fishing, sailing, golfing, hunting, amusement center and more, await you in Caseville. Served by an excellent K-12 school district and local government that truly cares about the needs of its residents. A medical center and nearby hospitals serve the health needs of the community. A volunteer fire department and full time police services help residents and visitors enjoy the safety and security of small town living. If you're interested in Caseville homes; please fill in the form to the left and an agent will contact you soon!